My name is Bronwyn Aspeling. I am from South Africa and have called Da Nang, Vietnam my home since May 2016. I studied a Bachelor’s Degree in English and Education as well as a Post Graduate Certificate in Early Childhood Education (specializing in learners from birth to 9 years old). I am also TEFL certified. I have been working at Fisher's SuperKids since July 2016 and I am so happy to have found an English Centre that has a deep love and care for the students and their growth. 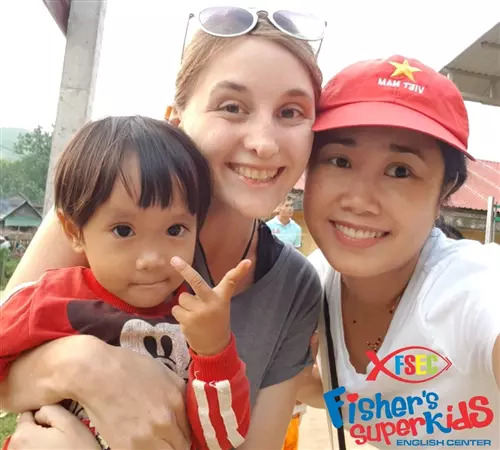 Fisher's SuperKids is more than an English Centre, it is like a specialized school environment. Moving from South Africa this was the most important aspect for me when applying at schools. Due to the great environment my passion for teaching and love for the learners continues to grow daily.